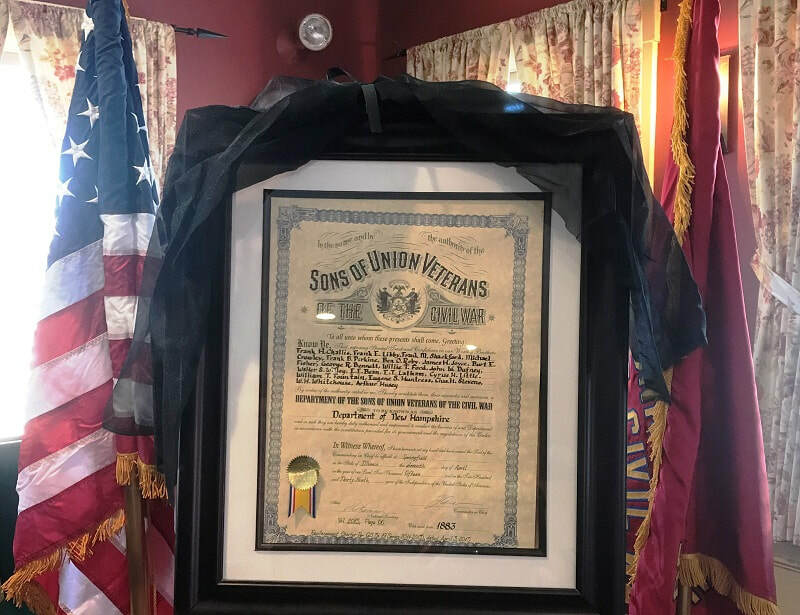 ​​The Sons of Veterans (of the United States of America) was organized in 1881, their name amended in 1925 to the Sons of Union Veterans of the Civil War. It received its federal charter in 1954, making it the legal heir of the Grand Army of the Republic. In New Hampshire, the first Camp was organized in 1882. 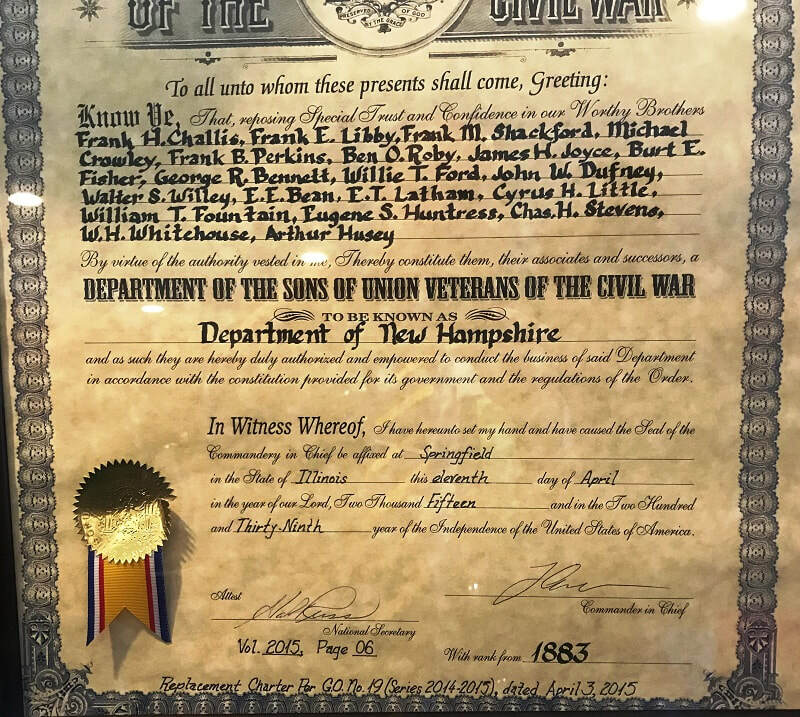 The NH Department (early on called a division) held its first annual encampment in 1883. In April, 2018, we held our 136th Annual Encampment. ​​The principles of the G.A.R., Fraternity, Charity, and Loyalty, carries on with the Sons.